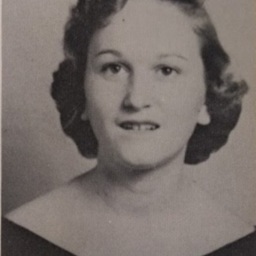 Photograph showing Anna Lee Emswiler. Taken from the 1957 Triplett High School Yearbook. It noted Anna was a "Lee Class Office," Beta Club Officer, FHA Officer, on the Paper and Annual Staffs, and a member of the school's SCA.